West Coast Placer was contracted to conduct high resolution aerial drone mapping of a coal mine in Alberta, Canada. 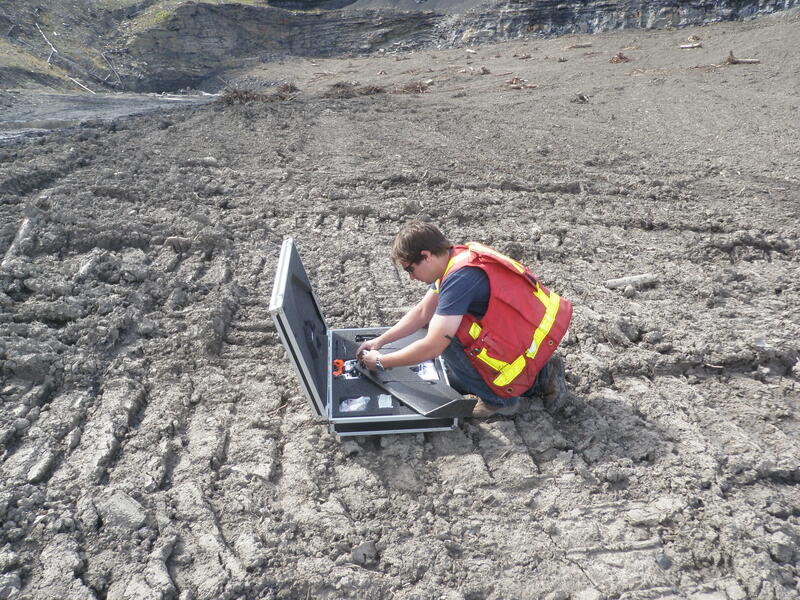 We were hired by the environmental department to map two parts of the coal mine to aid in their reclamation efforts. 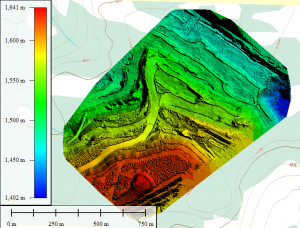 We produced high resolution imagery and 3D models. With our fixed wing mapping drone we were able to produce several custom mapping and imagery products. 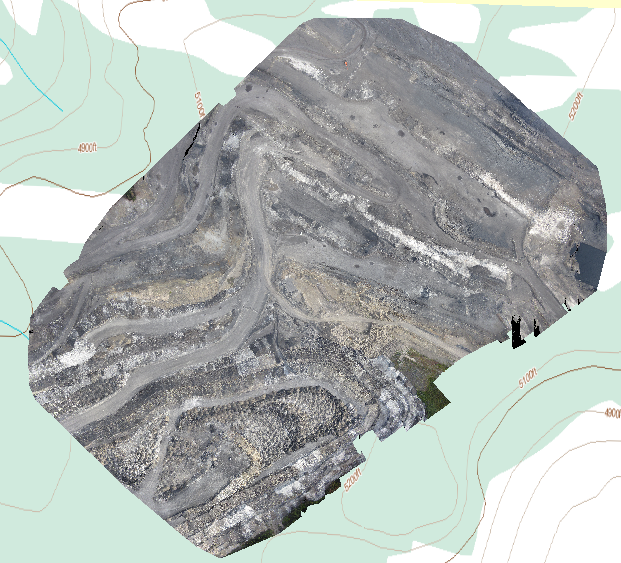 We made a beautiful high resolution orthophoto, a digital surface model (DSM) with topographical accuracy up to 30cm, a LAS format point cloud and one more 3D model. 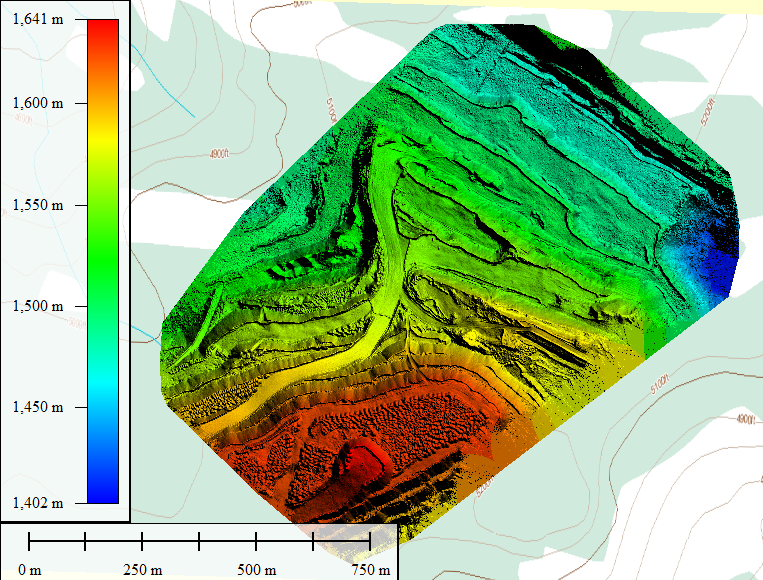 We were also able to format the 3D data so that it could be used in their mine planning software (Minesight). 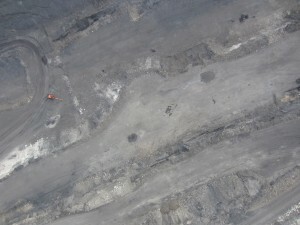 Two sections of the mine were surveyed. We flew a total of three flights in the same day. 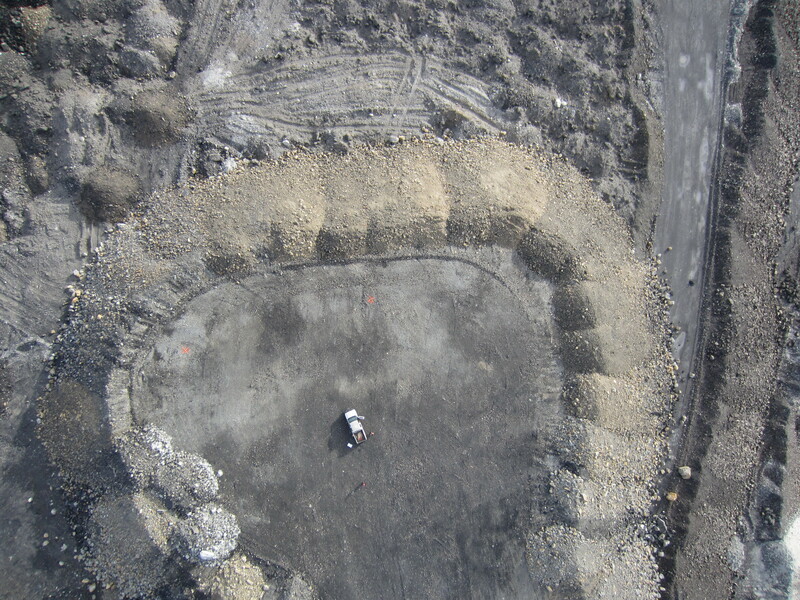 The mine asked to have the main pit flown two times to confirm the accuracy and repeatability of the data. We were happy to oblige and of course the flights matched within 2cm of each other. Each section that was flown was about 2 square kilometers and our drone has the flight duration to cover each section in one flight. The photo quality on the still photos and orthomosaic was outstanding. 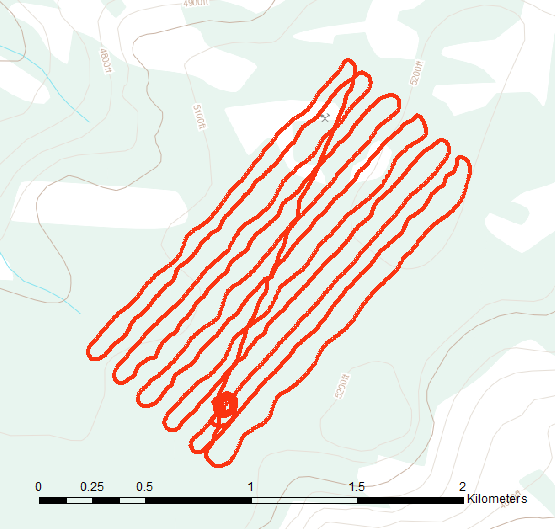 We were able to achieve an image resolution on the georeferenced mosaic of 4cm/pixel. That means that each pixel in the photo represents a real world footprint of 4cm by 4cm. That kind of resolution cannot be matched by current satellite imagery providers. Actually they are not even in the same league. The best satellite imagery that you can buy today is provided by WorldView-3 satellite and has a resolution of 31cm/pixel. It also costs a lot of money. Google Earth come in at a pitiful 65cm/pixel in the best locations. Here are some examples of our imagery. First is a shot of the truck that we used as a base station for the drone. 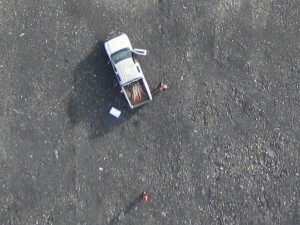 You can clearly see the truck, the two operators and even the pickets in the bed of the truck. You can click on these images for a larger view. 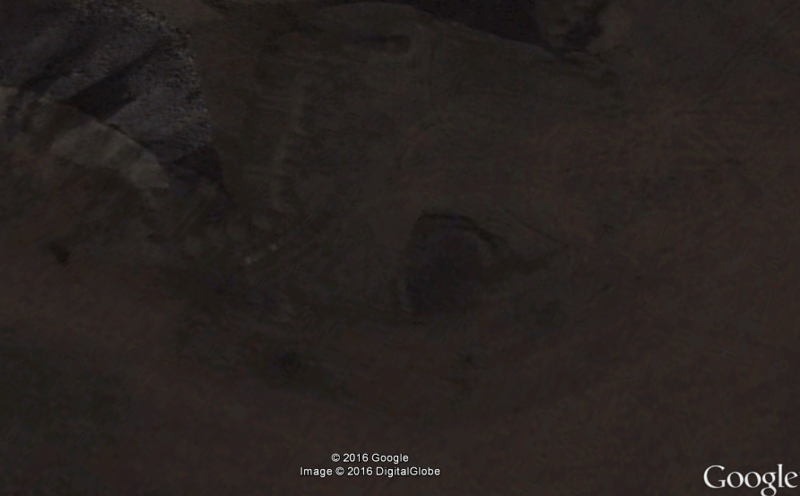 Here is a Google Earth image of the exact same location. I love Google and everything that they do but this image is just no comparison. To start with it’s three years old (despite the 2016 copyright note at the bottom), the mine does not even look like that today. The resolution is so poor that you can’t even tell what you’re looking at. Here are a couple more shots from the same flight. 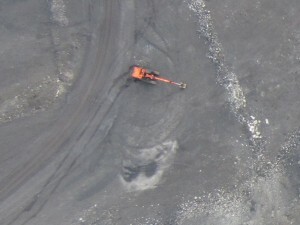 You can clearly see this orange excavator and other details. 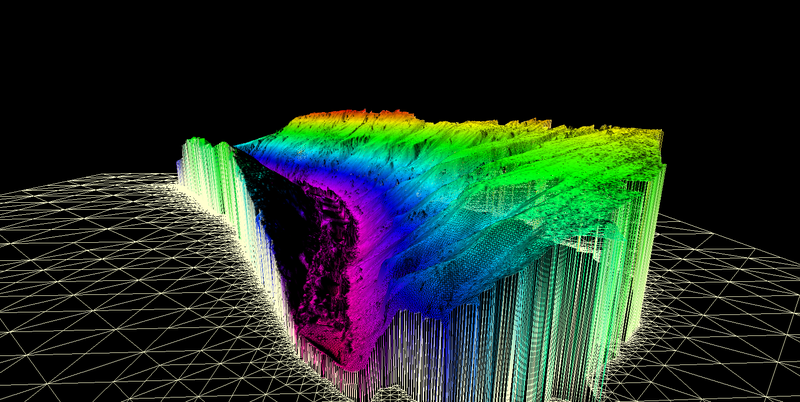 The 3D data is also incredible. 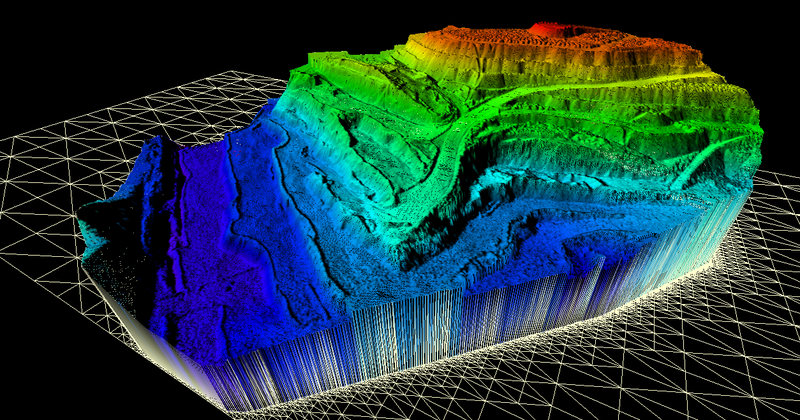 Check out the video below for a great example of the 3D data that we produced. That video shows a virtual fly though of a LAS point cloud. 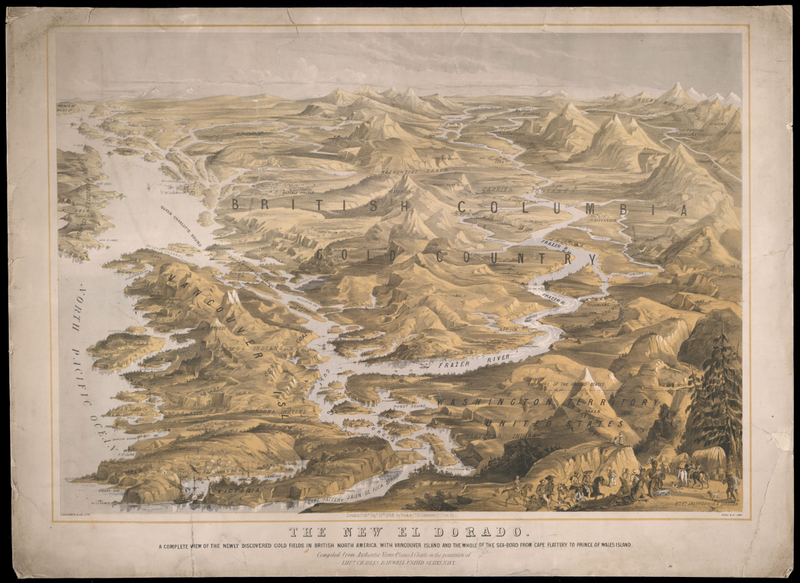 LAS is the same format that LiDAR data produces. Drone technology is just making it’s way into the mining world. With the low cost and amazing imagery it is a no brainer for many applications. 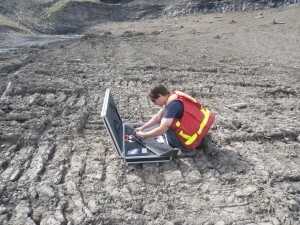 In the case of this coal mine the environmental team now has excellent data to aid in their reclamation planning that would not have been available only a couple years ago. 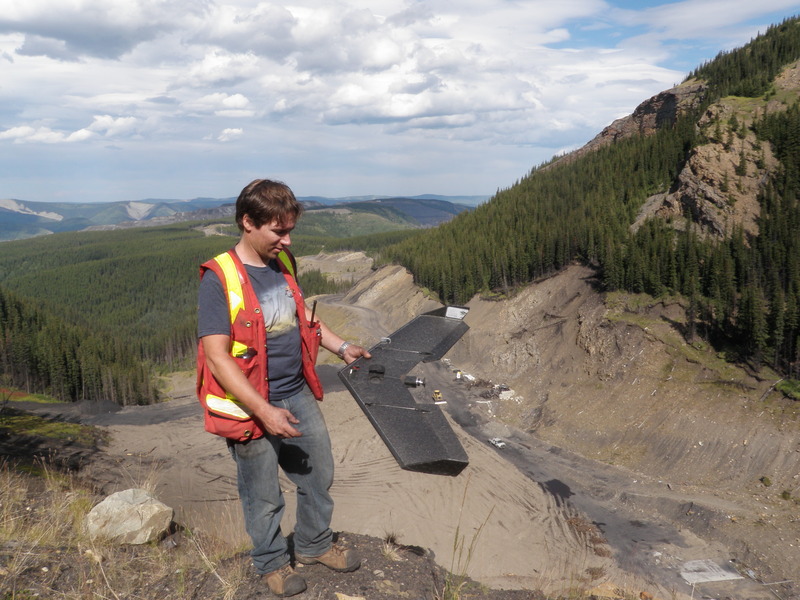 Check out this post on drone applications in mining. Our client was very happy with the products that we produced especially for the price. 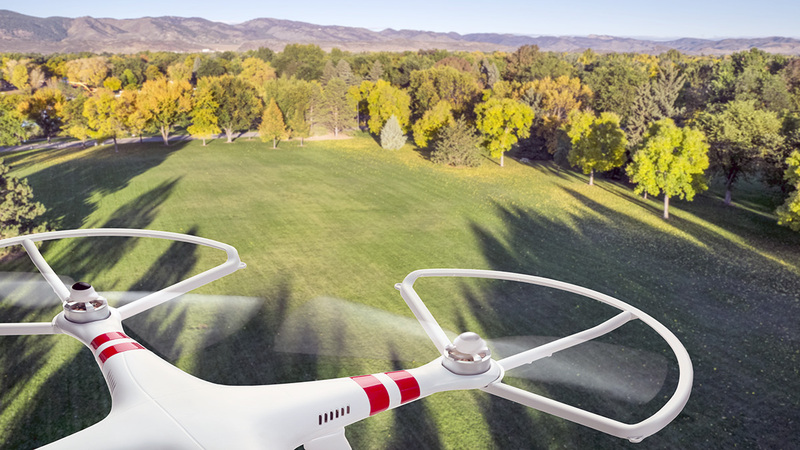 Check out our Drone Services page for details on pricing. 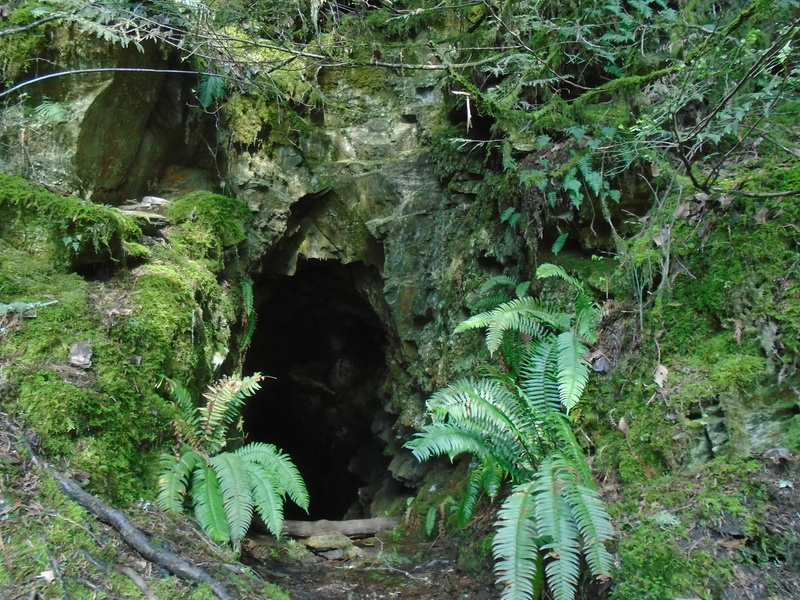 Last week my neighbour phoned me and asked if I wanted to go on a road trip to check out an adit by Harrison Lake. Of course I said yes. 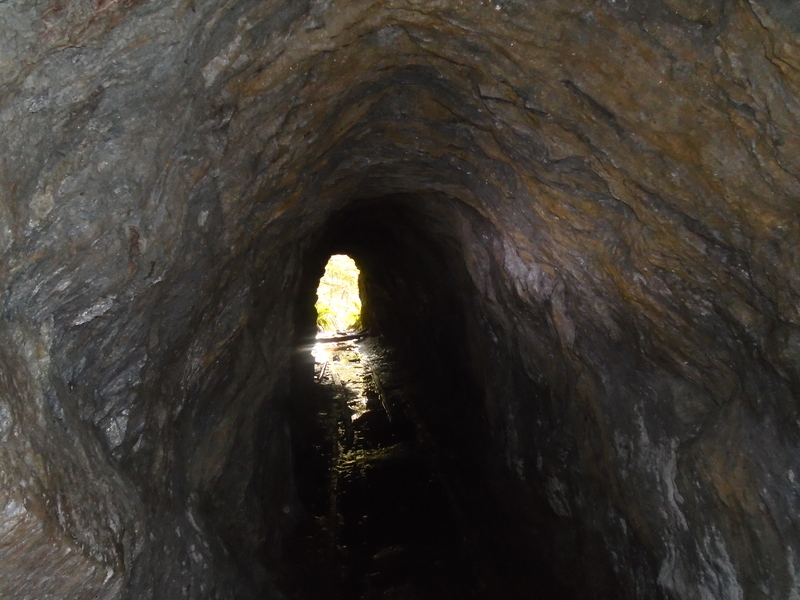 Who wouldn’t be down for a short road trip to check out an old mine adit. The trip only took two hours from my home in Abbotsford, BC. 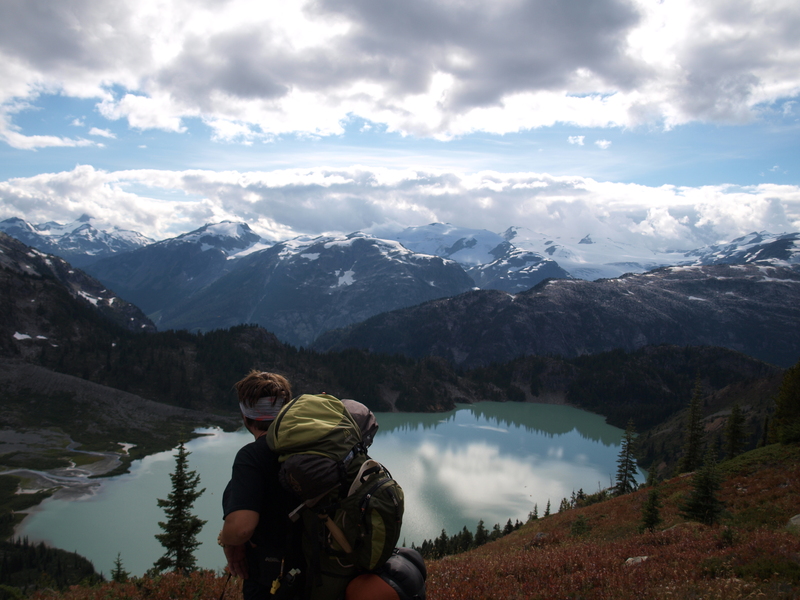 We drove up to Harrison Hot Springs then transitioned to the 4×4 road called Harrison East FSR. Conditions were great for the trip out we got hit by rain on the way back but that’s to be expected on the West coast in March. This adit was created a long time ago, probably a during the period of the Fraser River and Cariboo gold rushes (1860s – 1880s). No records have been found from that time period describing the adit though. During the gold rushes the Harrison was one of the major routes to the Cariboo and many miners worked in the region. 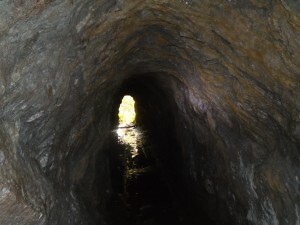 The adit extends for approximately 50m with a slight bend half way in. It cuts through altered schist formations and has several small quarz veins exposed inside. We sampled one of the veins which will be sent to a lab for fire assay. The map below is taken from a 1983 geological report of the area. In addition to the 50m adit a vertical shaft had also been excavated. 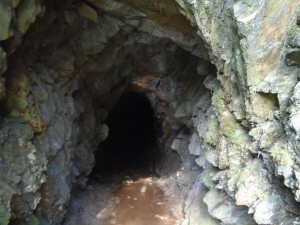 Unfortunately the shaft is filled with water so it cannot be explored at this time. 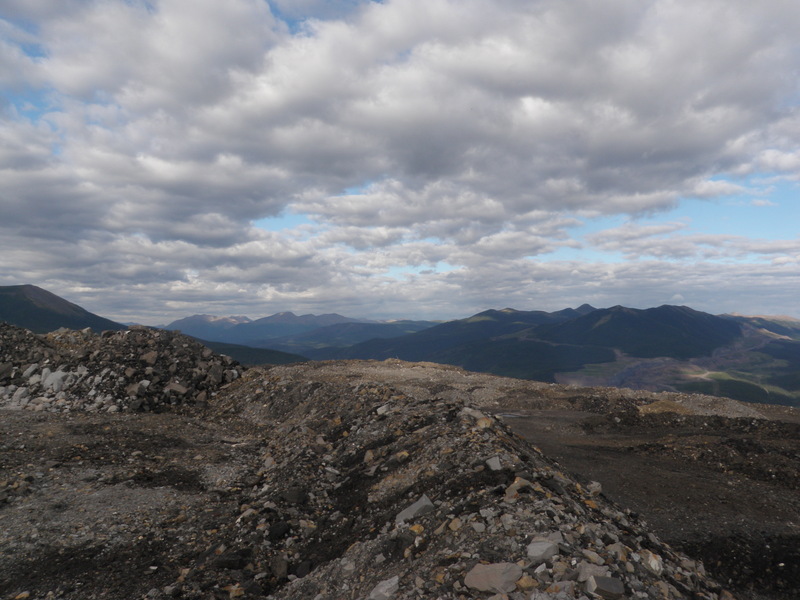 Both excavations were carried out to explore a sizable quartz vein. 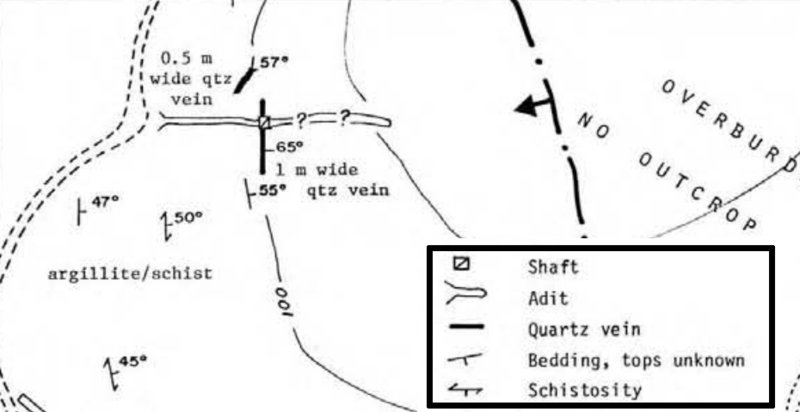 The shaft is right on the 1m wide vein and driven vertically into the bedrock. 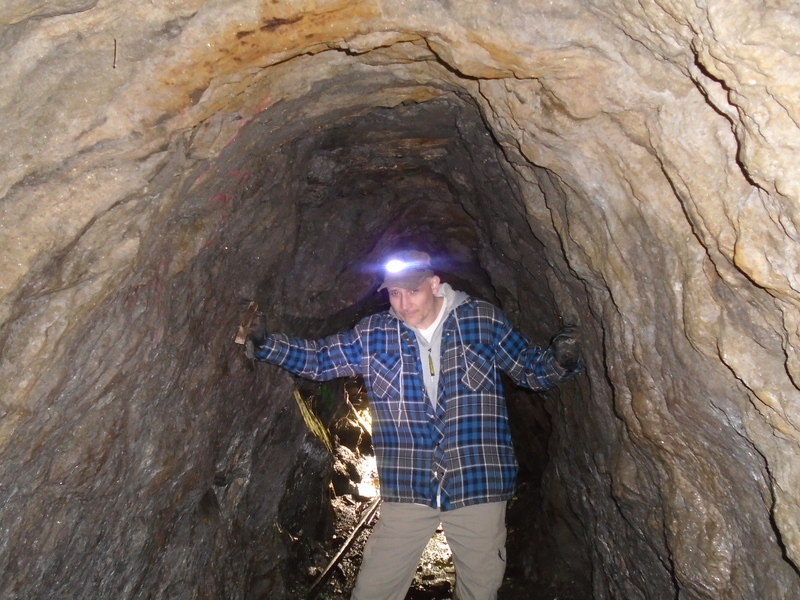 The adit that we explored was intended to intersect the shaft and the vein. It seems that the miners missed. It is difficult to tell by how much. Inside the adit there are wooden tracks that line the whole tunnel. These were probably part of an old rail system used to remove the excavated rock. It is not known why the miners abandoned the property, without any information we can only guess. There are other adits in the area that we’ll explore another time. Not bad for a Tuesday afternoon.